Young people aged 16 - 18 spend a week on Dartmoor giving leaders of the future a chance to get a head start at an early age. This successful Rotary awards employs a team of professional trainers, Jack Russell Coaching, for one week. They run a course specifically designed for young people aged 16-18 at the Dartmoor Training Centre, near Princetown in Devon. 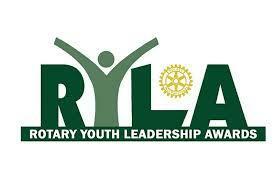 The Rotary Youth Leadership Award (RYLA) is one of the most successful Rotary programmes run by Rotary District 1200 for young people aged 16-18 on 22nd February 2019 and offers the leaders of the future a chance to get a head start at an early age. The RYLA programme gives young people the chance to improve their leadership, team working and communication skills, respect for the environment and learn public speaking skills. This course will also enable candidates to understand their own personal strengths and how to achieve their personal goals in life. The RYLA programme provides a unique opportunity to learn, grow, have fun, and make new friends. Download more information on how your Rotary club can sponsor a young person on this course.